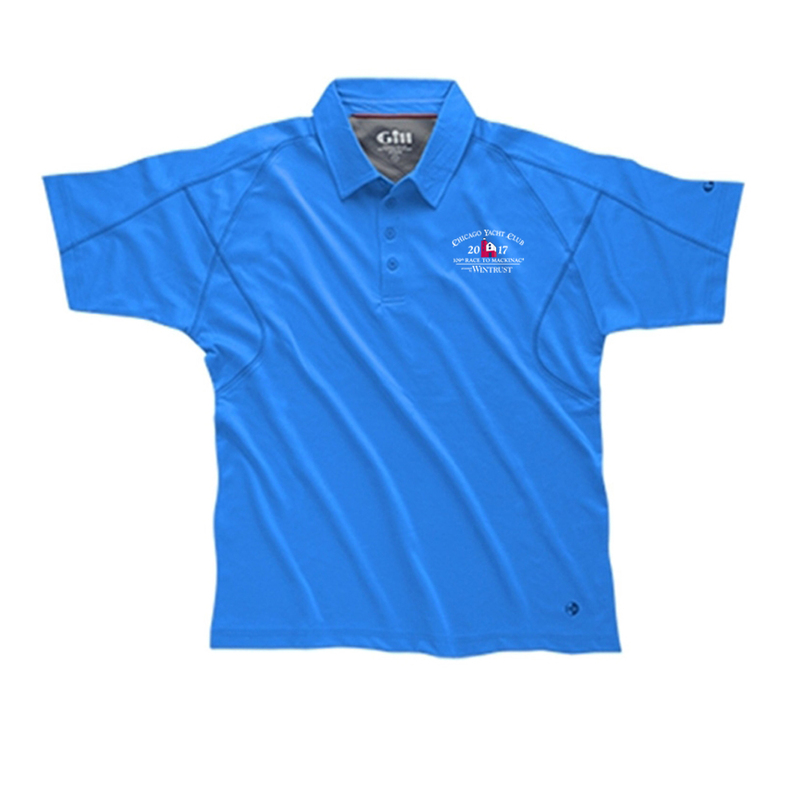 This polo shirt has the 2017 Chicago Mackinac Race logo embroidered on the left chest. <?xml:namespace prefix = "o" ns = "urn:schemas-microsoft-com:office:office" />A new collection of lightweight, sun protective sailing sportswear designed for warmer conditions. Cool and comfortable to wear with a performance pedigree. 50+ UV protection. Lightweight polyester technical fabric. Wicks moisture away from skin and dries quickly.